It’s indeed the game of destiny that on one hand, Kapil’s career is declining and he’s missing all the golden opportunities that come his way while on the other, Sunil Grover is climbing the ladder of success and new feathers are being attached to his cap regularly. After mid-air brawl that he had with Kapil while returning to Mumbai from Australia, Sunil quit good bye to The Kapil Sharma Show (TKSS) and got busy in shows. He didn’t have dearth of work even after leaving TKSS and recently he came up with a web show Dhan Dhana Dhan. TV’s favourite Angoori Bhabhi aka Shilpa Shinde is also a part of this show and it’s loved by audiences too. Besides, Sunil bagged lead role in Vishal Bharadwaj’s “Chhuriyaan” in which he will be seen with two actresses – Sanya Malhotra and Radhika Madan; however, none of the two will be cast opposite him and there will be two other actors in the flick. Now we have some superb news for the fans of Sunil Grover and this golden chance can indeed prove to be a turning point of his Bollywood career. 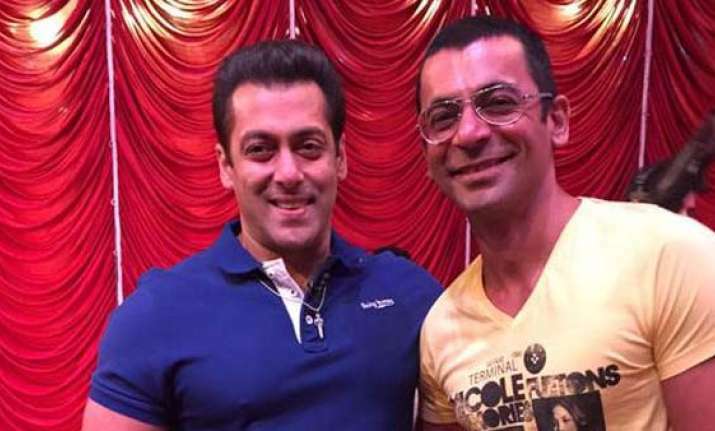 According to IndianExpress.com, Sunil Grover has signed Salman Khan and Priyanka Chopra starrer “Bharat” and in the film, he will play the role of Salman’s friend. Well, it seems that Sunil Grover is in the list of Salman’s favourites; how can we forget that Salman chose Sunil over Kapil and did a special promotional show Super Night with Tubelight for his movie instead of going to TKSS for promoting “Tubelight”. The ace comedian has appeared in some Bollywood movies including “Coffee with D” in which he played the protagonist, “Ghajini”, “Gabbar Is Back”, “Baaghi” and “Heropanti”. “Bharat” will be directed by Ali Abbas Zafar and fans will get to see the hit Jodi of Salman and Priyanka after 11 years. Salman Khan is going to play a character that will age from 18 to 80 in the movie that is an official remake of “An Ode to my Father”, a Korean film.